Yes, Mick. We know it’s on YOUR side. But time is on my side, too. And you, my dear reader.. time is on your side as well. There’s two parts to this story so stick with me. On any given day, you’re faced with a bazillion little, teensy, weensy choices to make. Should I do the 10 sit-ups I promised myself I would? How about that 15 minute meditation I said I was gonna start doing? Then there’s that savings plan. And getting out of the habit of complaining. Maybe that gym membership is a good idea. Maybe you begin one new habit. Maybe you don’t. Chances are, it won’t matter. Not for today. And probably not for tomorrow either. Let’s face it. If you have a donut today, the world will not collapse. If you don’t begin saying how you really feel, nobody will know. If you wait to start saving your money just one more day…. will it really make any difference to your debts and overall financial state of affairs? Not today. And not tomorrow. But those little choices will add up and up and up and up and up. The choices you make and therefore the choices you don’t make, WILL MATTER over time. 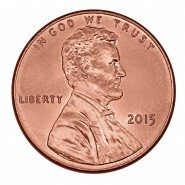 If you saved one penny today. And tomorrow you doubled it. And then the next day you doubled it and on and on and on. How much would you have in 30 days? All of those little choices add up to big results IF you do them consistently and with the BELIEF that you’re getting results. KNOW that what you choose impacts your life and the lives of everyone around you… over time. Live consciously. Live boldly. Live without cynicism and choose sincerity instead. Want to read more and receive a free tool to design your rockstar life?